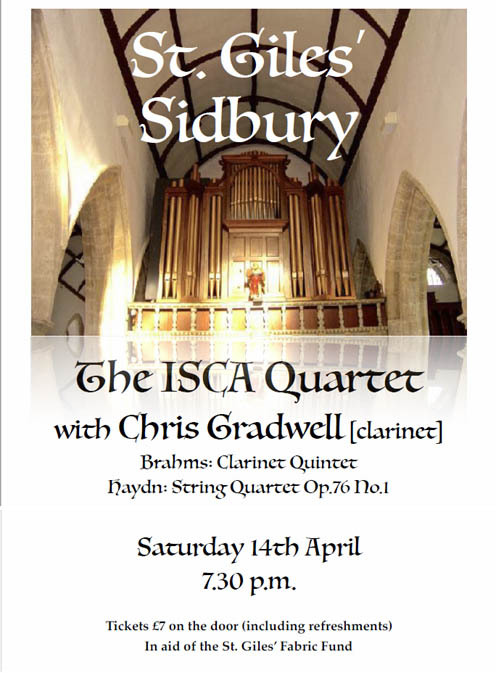 The ISCA Quartet with Chris Gradwell [clarinet] play the Brahms clarinet quintet and the Haydn string quartet Op. 76 No. 1.